This listing is for a 7" x 7" tree cake topper with fall colored swarovski crystal elements. 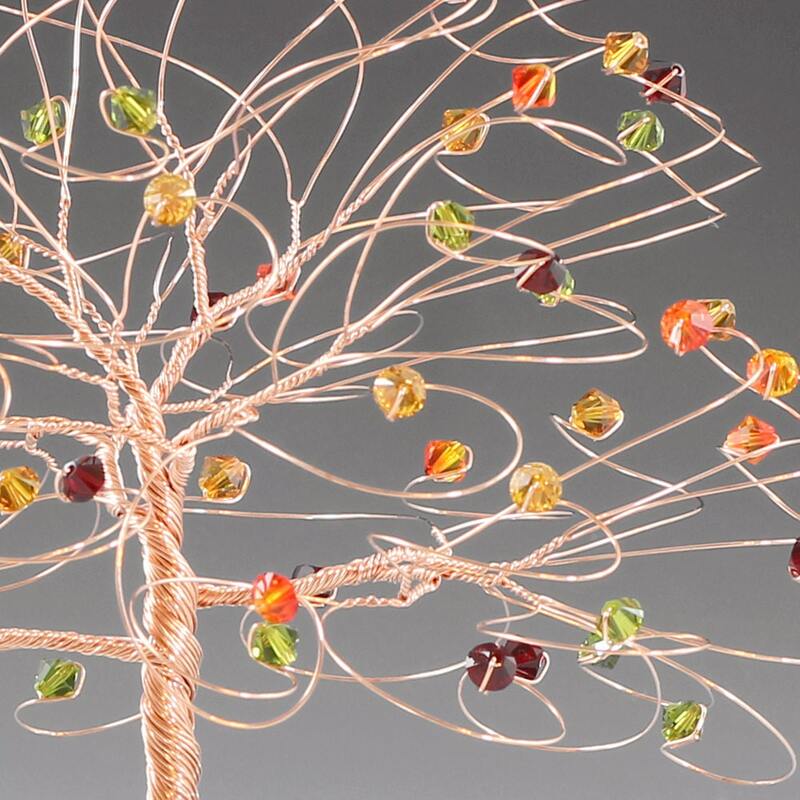 The tree comes in your choice of silver,copper, or gold wire. 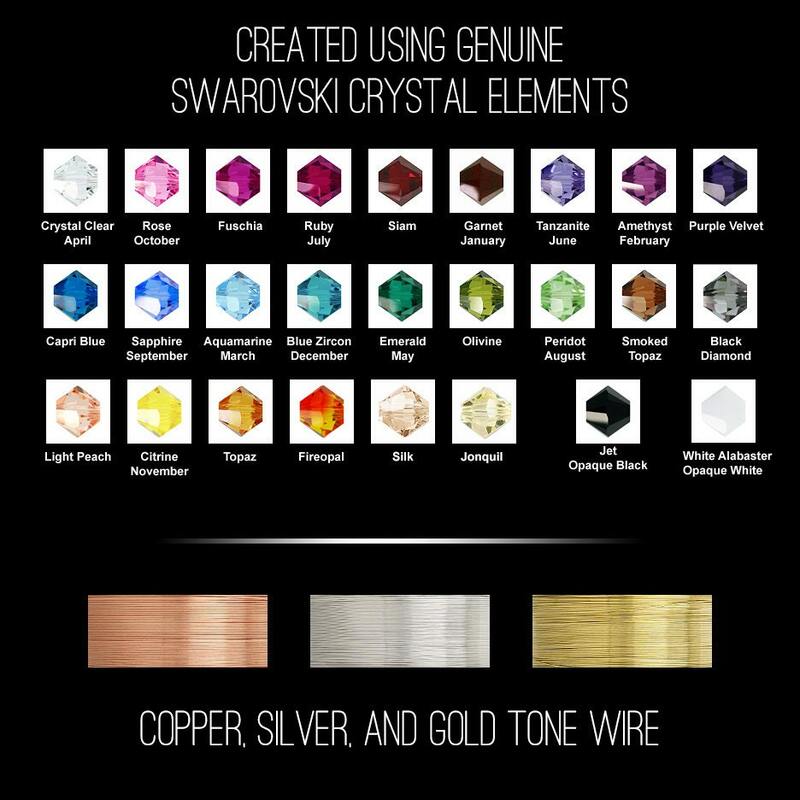 Just select your wire color from the dropdown box and add to cart. 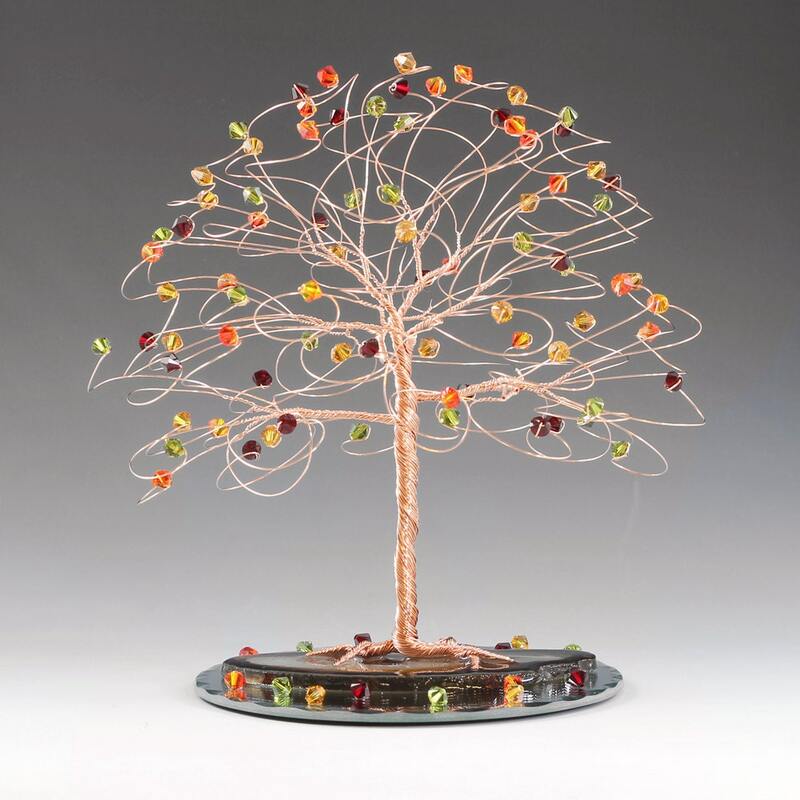 Your tree will be made with the siam, topaz, olivine, and fireopal beads shown. 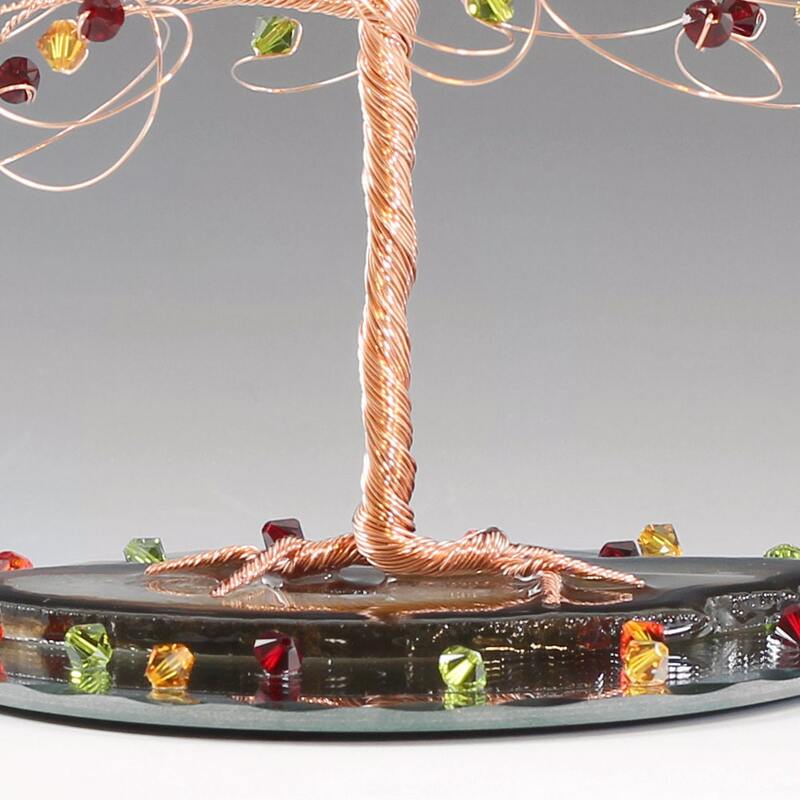 Wire tree cake topper measures approx 7" tall x 7" wide with every branch ending in genuine swarovski crystal elements. Tree base is brazilian agate mounted to a 5" round mirror. This will fit a 6" or larger cake top. This listing is for fall colors shown on your choice of wire. Weight is about 8 oz. I make every tree to order so the tree you receive will not be the tree pictured. Your tree will look a lot like this one with the largest difference being the exact shape and color of the agate base which you can see in the additional photos. I always choose the agate slab that best compliments the wire and leaves of a tree. Beautiful! This will be an amazing addition to our fall wedding and a treasured keepsake for years to come.